What Happened to Red Rooster When a Visitor Came is a parody about the dangers of inflated self-importance. While this moralizing tale may appear somewhat heavy, Stephanie Horton’s lyrical prose makes it a timeless classic. Red Rooster was laughing at the hens. Red Rooster strutted around the big front yard with his chest pushed out. His drooping red earlobes flapped. The floppy red wattle jiggled under his beak. He struck the long, sharp spurs sticking out like eagle claws behind his legs against a rock. Although the diction in Red Rooster may appear slightly inaccessible for children at times, Horton’s visual imagery presents an opportunity for new readers to expand their vocabulary. It is also an invitation for parents and teachers reading Red Rooster to pause and engage with the text while helping young learners define each new word. Horton’s descriptions of the sights, sounds, tastes, and atmosphere of the yard are engaging, as is her dialogue throughout the entire story. We are told that Red Rooster thinks very highly of himself, and that he is prone to boasting and belittling the neighborhood hens about their inability to croon like he does. But something is amiss. The humans in the story begin to notice Red Rooster because he is the loudest and most immodest. It is here that Horton creates two layers of storytelling, where the human and animal worlds collide. It is the duality of this narrative that makes for a hilarious climax. When it is announced that grandmother will be visiting the human household, the animals in the yard are visibly alarmed. While the visitor’s pending arrival elicits happiness worthy of celebration and feasting in the human world, there is gloom and doom in the animal kingdom. In self-satisfied grandeur, Red Rooster says: ‘a hen will be cooked today.’ He is filled with such self-importance that he fails to realize the humans have noticed him. In a hilarious twist of irony, it is Red Rooster who will be the main course! In the end Red Rooster is decidedly about the fine line between self-awareness and self-centeredness. While the very intuitive reader might notice the foreshadowing of Red Rooster’s impending demise, Horton serves up a delicious tale, pun intended, about his unfortunate downfall. This story is recommended reading for both adults and children alike. 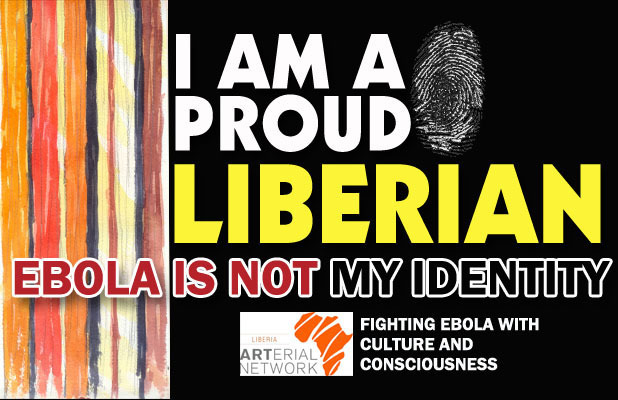 Robtel Neajai Pailey is a Liberian academic, activist and author. Posted in Art, Children's Books, Fiction and tagged Art, Chase Walker, Fiction, Reviews, Robtel Nejai Pailey, Stephanie HOrton. Bookmark the permalink. We are a group of Liberian artists & writers, both at home and in the Diaspora, who wish to present a more dignified, humane and intimate picture of Liberia and Liberians. Artist Leslie Lumeh, Patrice Juah (former Miss Liberia) and photographer Bai Best -worked together on this concept for the children.